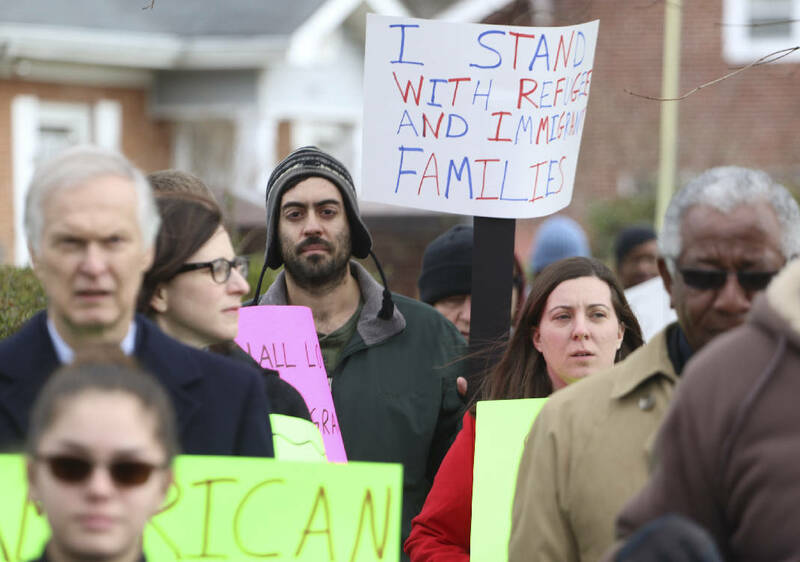 Pilgrim Congregational Church congregants march down 3rd Street on Sunday in Chattanooga to protest President Trump's executive order on immigration. Local immigration lawyers said Monday they are seeing widespread confusion over the impact of the Trump administration's executive order limiting tourism and immigration to the U.S. from seven predominantly Muslim countries. "I am seeing an increased amount of fear and uncertainty, partly because these orders are so vague and so badly implemented that people aren't even sure what they mean," said Martin Lester, with the Lester Law firm. "I had a client call [Monday] who is not from an affected country, who wanted to know since he had a valid visa in the United States, can he go home for his father's funeral. It's impossible with this administration to predict from day-to-day what they are going to do." POLL: Do you support Trump's order keeping some Muslims out of the U.S.? The order on immigration, issued Friday, bars any tourists or those holding visas from entering the U.S. from Syria, Iraq, Iran, Libya, Somalia, Yemen and Sudan. Whether the policy applied to people who had already been admitted to the U.S. legally, with a green card, was not clear initially, but late Sunday Gen. John Kelly, the new head of the Department of Homeland Security, issued a waiver stating that green card holders are not automatically banned, although they may be reviewed on a case-by-case basis if they have left the U.S. and are trying to return. That doesn't mean anyone with a green card who is now outside the U.S. will not encounter problems returning, immigration attorney Terry Olsen said. If someone who has received the card spends too much time outside the U.S., immigration authorities can argue that the holder has abandoned it, Olsen said, and they can be barred. Officials can examine a person's smartphone and social media activities "for any ISIS ties, any radical inklings," according to Brittany Thomas Faith, an attorney with Grant, Konvalinka and Harrison. Faith said she is advising her clients who had green cards and were outside the U.S. to return home as soon as possible, even if they were not from the seven countries covered by the new executive order, because of uncertainty over what additional changes may lie ahead. "This weekend with the way everything came out, it was so chaotic," Faith said. Even if they supported the executive order, many politicians criticized the way it was rolled out, with little prior discussion with the officials assigned to carry it out. Tennessee's two Republican U.S. senators, Lamar Alexander and Bob Corker, both criticized the way the order was implemented. "This vetting proposal itself needed more vetting," Alexander said in a statement Sunday. U.S. Rep. Chuck Fleischmann, R-Tenn., issued a statement Monday saying that he supported President Trump's move. "Many foreign governments, like Syria, are falling apart. This is hindering our ability to properly vet those who wish to enter our country," the congressman said. "President Trump's Executive Order wisely presses pause on the process until we are confident about these individuals' backgrounds." But Fleischmann added that "There have been some flaws in implementation, and it is my hope the Administration will work to fix them immediately."